< Back to What's Happening? The Charles Evans Center (CEC), an Article 28 licensed health care facility operating as a Federally Qualified Health Center (FQHC) is pleased to announce the appointment of Judy Olshin, DDS, as their new Director of Dentistry. In her new role, Dr. Olshin is responsible for improving access to dental care as well as developing new relationships within the community. In addition to quality dental services, the Center provides comprehensive state-of-the-art medical care to those with special needs and to medically underserved populations. Dr. Olshin is a board-certified dentist with more than 18 years of experience. She previously served as Dental Director at Advantage Care Health Centers in Brookville, NY. Prior to that she had a private practice in Woodmere, NY. She is currently an attending dentist at Northwell Health North Shore University Hospital Ambulatory Surgery Center since 2004. While she has substantial experience treating all types of patients and dental conditions, Dr. Olshin works extensively with patients who have intellectual and other developmental disabilities. 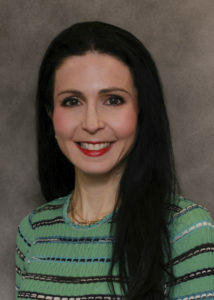 Dr. Olshin is an active member of several dental associations, including the Office for Persons with Developmental Disabilities (OPWDD) Dental Task Force and is a peer reviewer for the Academy of General Dentistry. The Charles Evans Center has two locations. Nassau County – Bethpage, located on the campus of Adults and Children with Learning and Developmental Disabilities (ACLD); and Suffolk County – Hauppauge, NY. Healthcare services include: Family Medicine, Gynecology, Neurology, Podiatry, Dentistry, Behavioral and Mental Health, Psychiatry, Psychology, Social Work and Case Management. Overseen by culturally sensitive, credentialed medical staff, the Center’s high-quality primary and specialty services are provided regardless of a patient’s background or ability to pay. With an emphasis on quality patient-centered care, Dr. Olshin aims to make Charles Evans Center the premier resource for dental healthcare in the Long Island community. Dr. Olshin resides in Woodmere, NY with her husband and their three children.